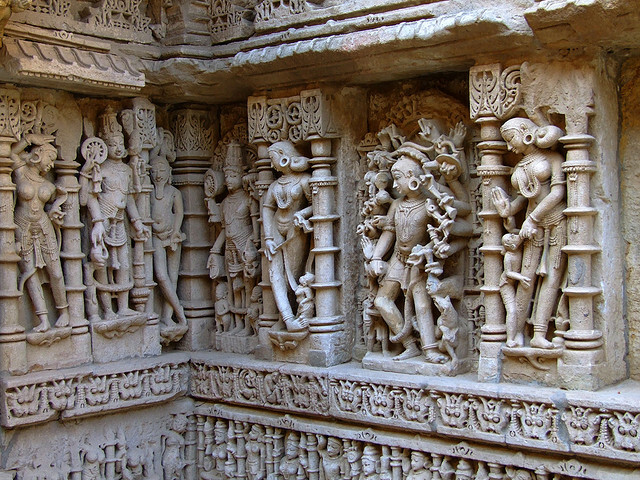 Champaner-Pavagadh Archaeological Park is the only World Heritage Site in Gujarat state of India. 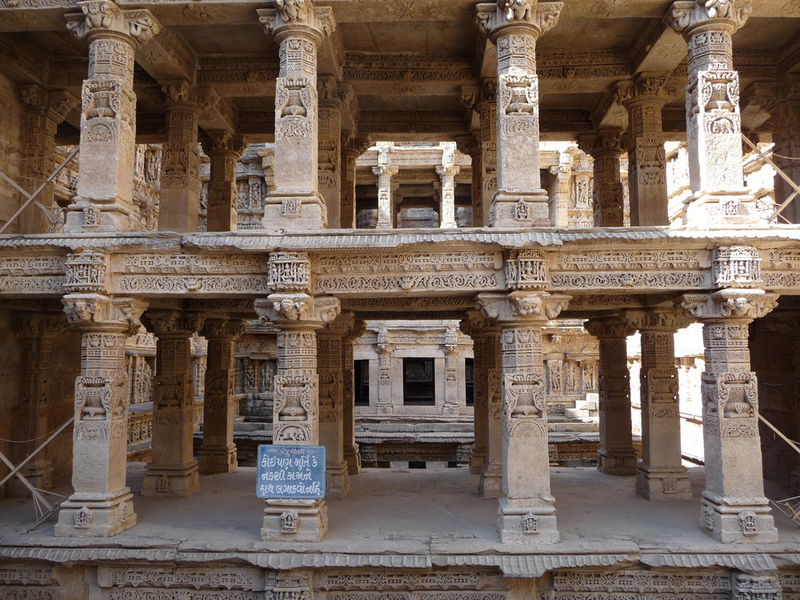 But it is full of palaces, temples, residential complexes, agricultural structures and water installations such as stepwells and tanks, mosques and tombs. 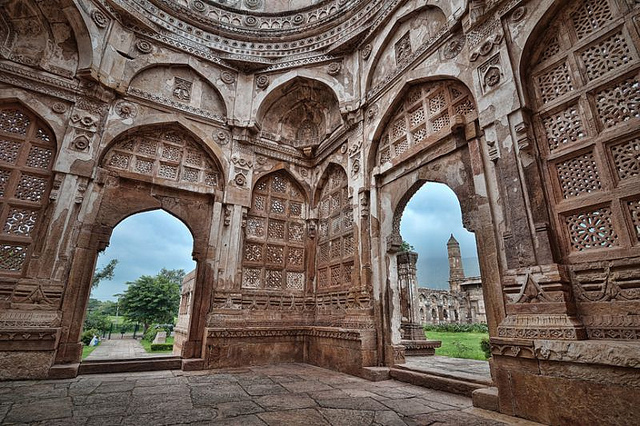 It is located around Champaner, a historical city and extends to the Pavagadh hill-station. This park was given the status of a UNESCO World Heritage Site in 2004. This vast heritage site is spread over 1,329 hectares with an extended 2,812 hectares of the buffer zone. The primary zone is 983.27 hectares wide and has many archaeological and historic sites. 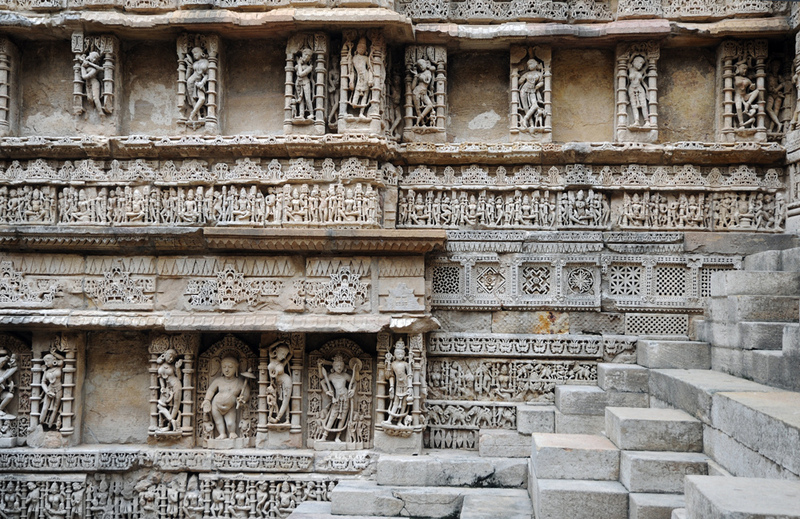 Kalika Mata Temple is the oldest and most visited temple of this region. It is located on a cliff in between a dense forest near Halol city. This temple contains the images of three Goddesses; central image is of Kalika Mata, Goddess Kali is on the right and Bahucharamata on the left. There is also Sadanandsha Pir of a muslim saint. 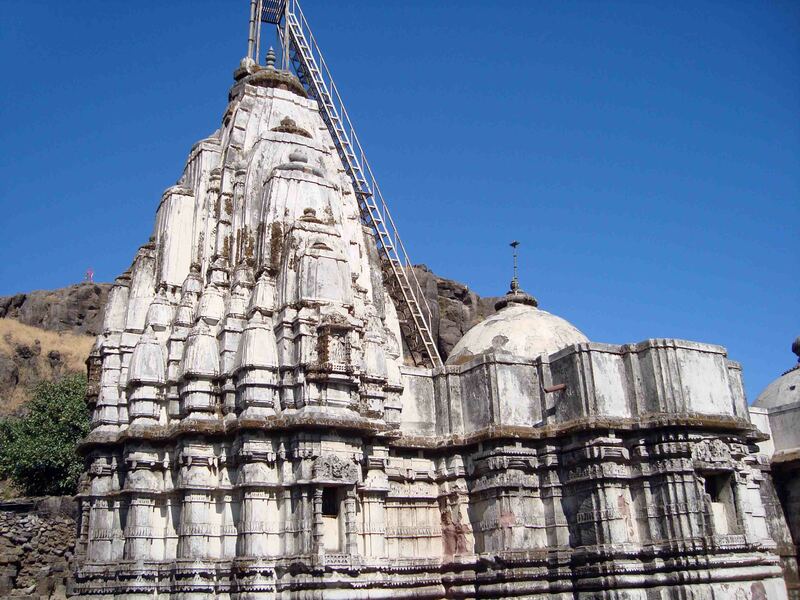 Lakulisa temple is the oldest temple atop the Pavagadh hill. It is now in ruins and dates back to the 10th or 11th century. It follows the basic Hindu temple architecture style with key Hindu temple architecture elements like mandapa and an entrance porch. 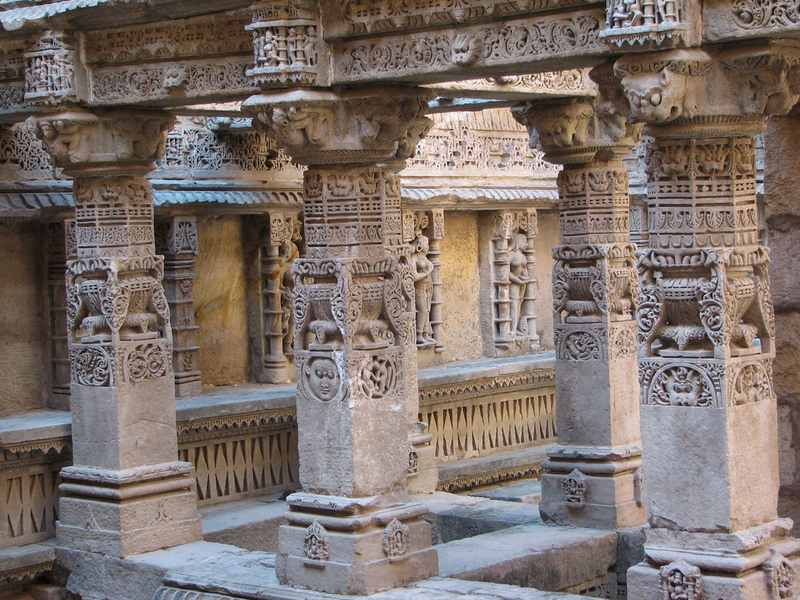 Jain Temples are also an important site to visit. They are categorized into three groups. 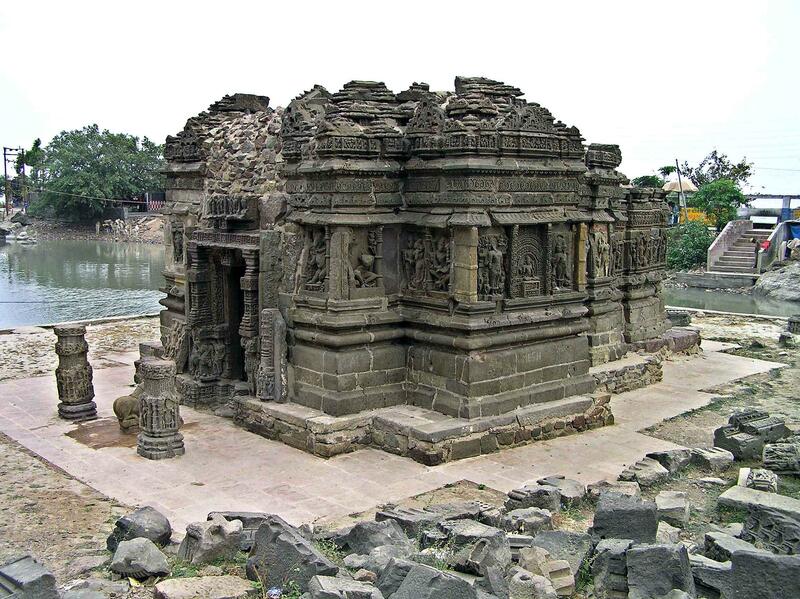 The Bhavanaderi temples near the Naqqarkhana gate fall under the first group; the second group consists of temples dedicated to the Jain saints Thirthankara Suparsva and Thirthankara Chandraprabha and, the third group contains the Parsvanath temple. 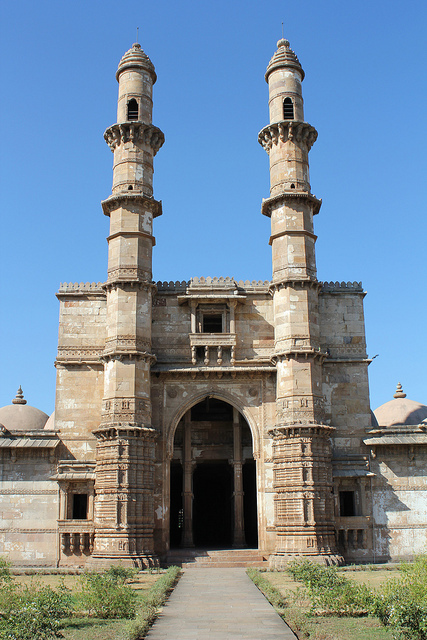 Jami Masjid, also called Jama Masjid of Champaner, is one of the finest mosques in western India. The fine architecture of Jami Masjid is unique amalgam of Hindu and muslim styles of decoration. It is a two-storey structure with multiple halls for prayers, which are supported by 200 pillars. There are some tombs built nearby the mosque building. Kevada Masjid is famous for its mausoleum and its globe-like domes. The incorporation of nature and environment in the architecture of the mosque is the most interesting thing about this mosque. It is usually not a common practice in Islam to do so. Nagina Masjid is a large monument built during the same time as that of Kevada Masjid during the 15th century. Nagina means Jewel and thus is also referred to as the Jewel Mosque. It is a two storey high building with a balcony. The mosque was built using white stones. 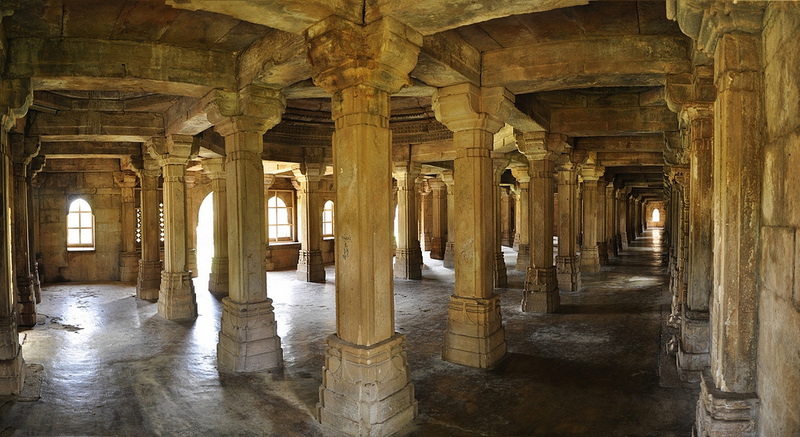 It has domes, elegantly carved minarets and decorative columns and windows. The floral designs are its main attraction. 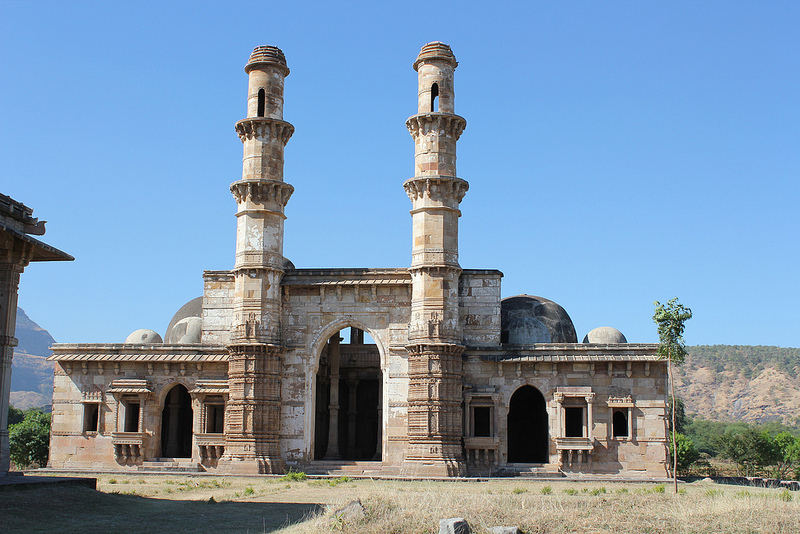 Lila Gumbaj Ki Masjid is located in the east gate of the historic city in Champaner. It has three entrances on north, south and east directions. The fine designs and colors of the central dome, out of three domes, is its main feature. The Bawaman Mosque is named after a saint named Bawaman. It also has three large domes, ablution tanks, arched entrances and a minaret. 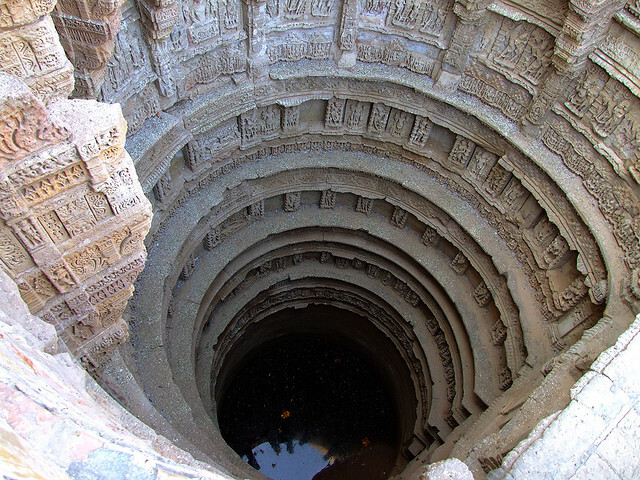 Huge restoration work has been undertaken by the Archaeological Survey of India to preserve this monument. 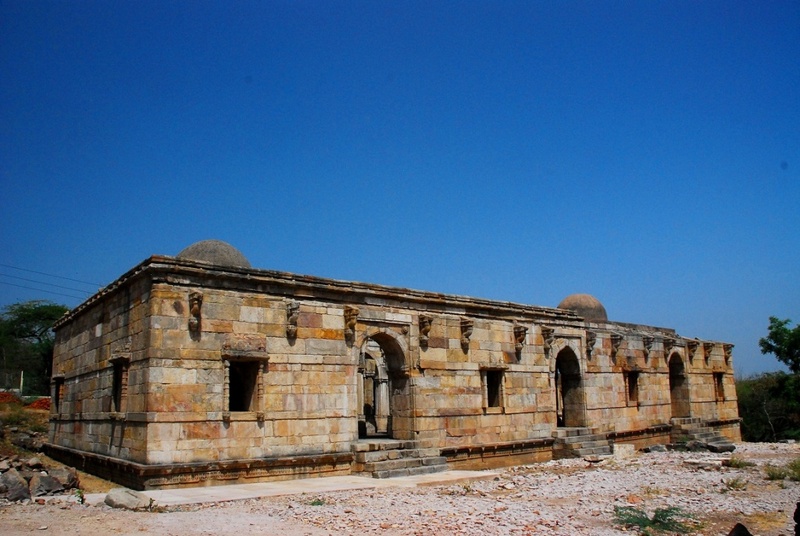 Sahar Ki Masjid, Kamani Masjid, Ek-Minar Ki Masjid and Panch- Mahuda-Ki Masjid are some other mosques inside the vast heritage site of Champaner-Pavagadh Archaeological Park. The Fort of Pavagadh was a Hindu fort built by the kings of Solanki. It is located on the Pavagadh hill. The fort was further fortified by the Khichi Chauhans. 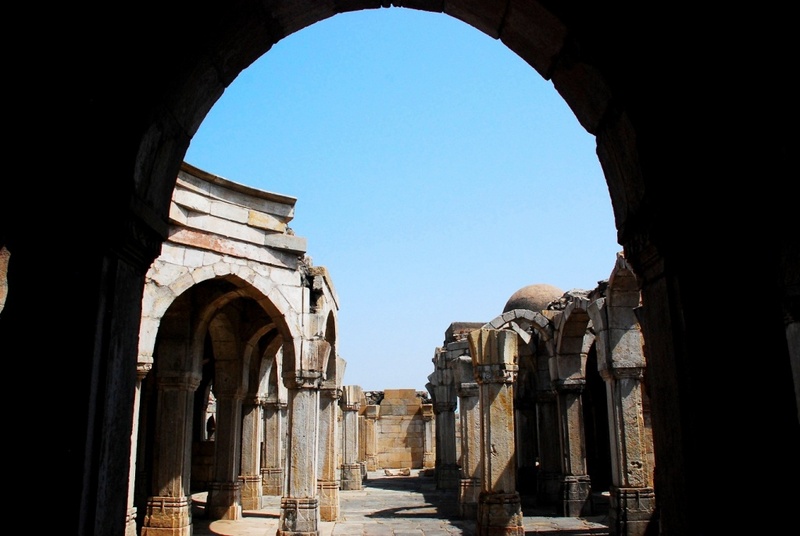 After it fell into the hands of Sultan Mahmud Begadah in 1484, it was renamed to Muhammadabad Champaner. 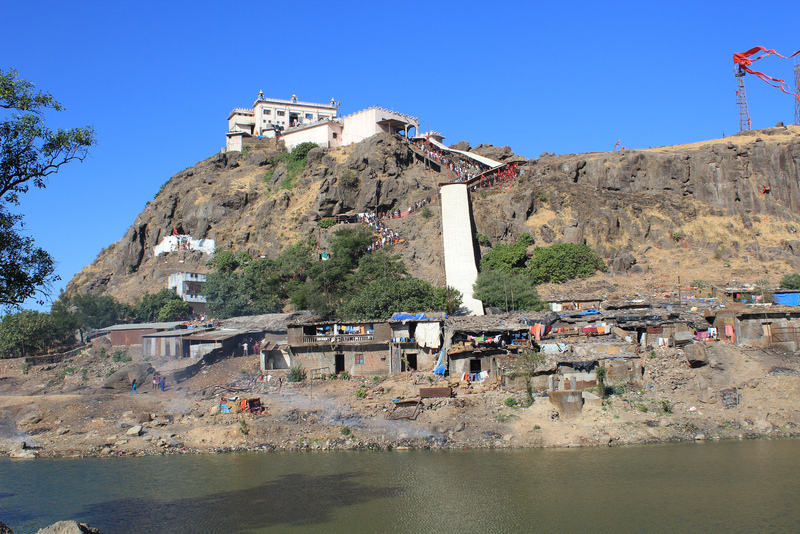 There are several religious buildings inside the fort walls that include Lakulisa temple and few other Hindus and Jain temples. There are few named walls like Citadel Walls, City Walls at the Southeast Corner and Walls of fort on top inside the fort. 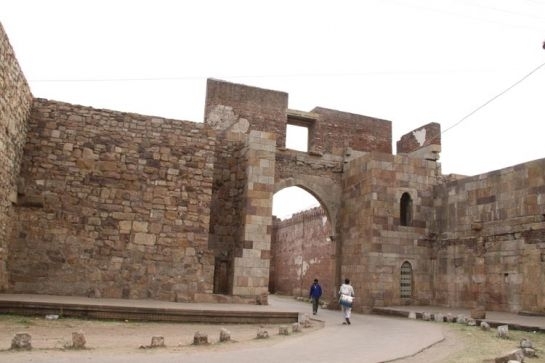 Pavagadh Fort has many gates throughout the fortification. The City Gate has a projecting arch and is in a well-preserved form. The Gate No. 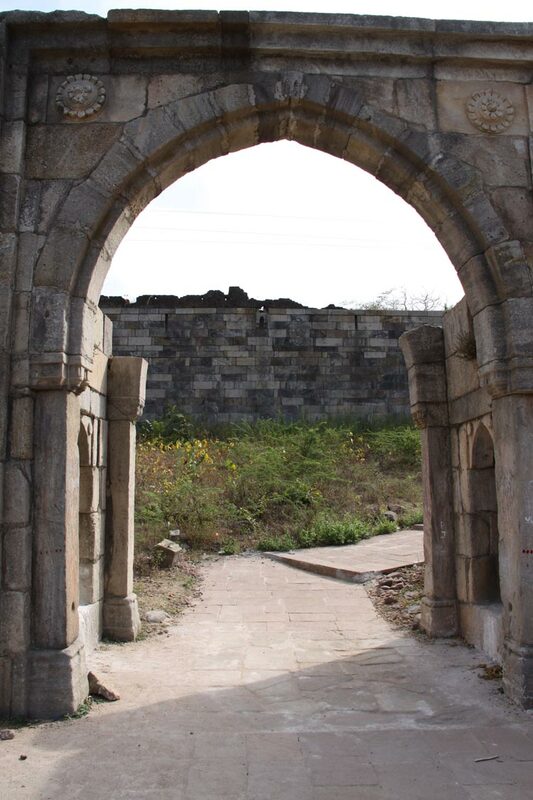 1, the Atak gate is on the west end of the fort and has two gateways. The Budhiya gate (Gate No. 2) is on the western end of the fort. The Gate No. 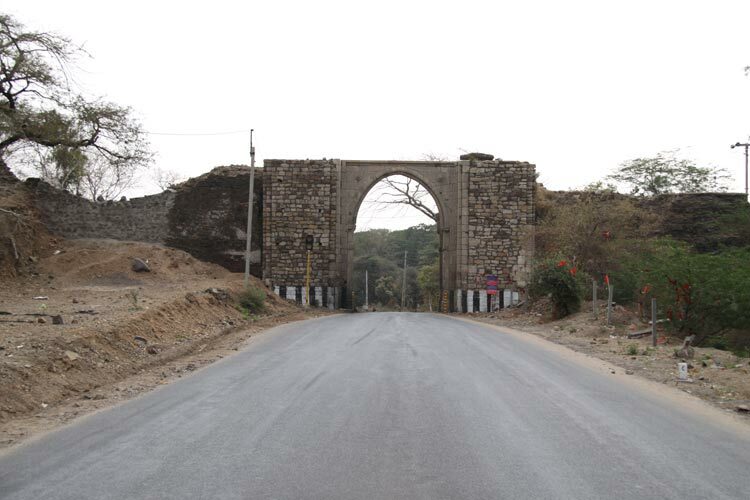 3, the Sadanshah gate (also called Moti gate) is located in the Machi plateau. It has four gates and is the second line of defence. The third line of defence is the Gate No. 4 that has big bastions and cells in the interior. The Gulan-Bulan gate is the Gate No. 5 and is behind the Sat Manzil. Gate No. 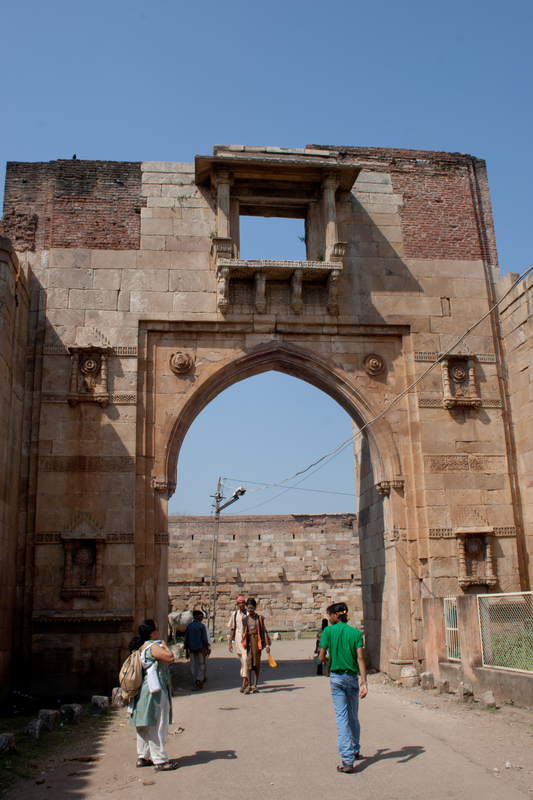 6 or Buland Darwaja is of 13th-century vintage gate built on the hill near Makai Kothar. The Makai gate (Gate No. 7) has an arch on it and bastions flanking it. The last gate is Gate No. 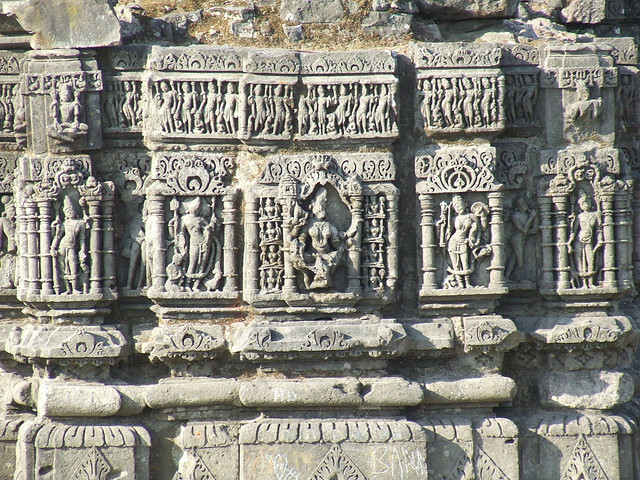 8, the Tara pore gate. 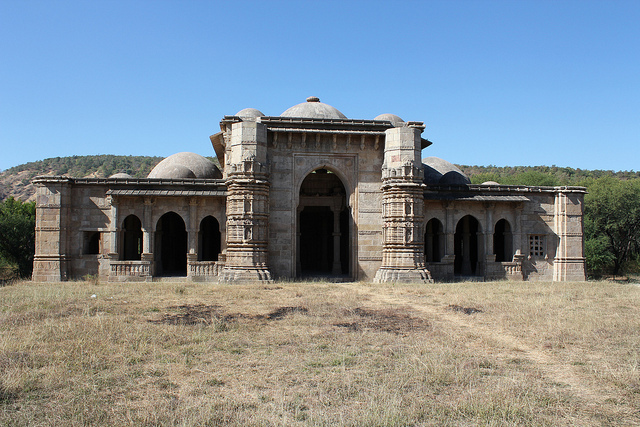 Champaner-Pavagadh Archaeological Park has many palaces belonging to different kings. 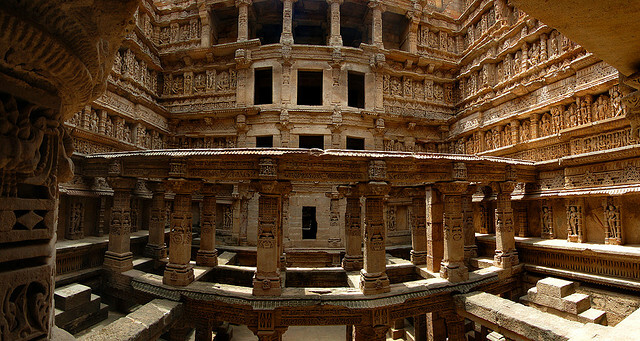 These palaces were built at different time periods. All of them are nearly in ruins now. These palaces along with gardens and pavilions were an important part of the fortification. The Kasbi talao is a square pond with descending steps in the west gate. The ruins of Patai Rawal’s Palace with tank are located to the south-east of the Machi plateau. Kabutarkhana Pavilion is a small structure of bricks and lime plaster located on the north bank of Bada Talao near Khajuri Masjid. 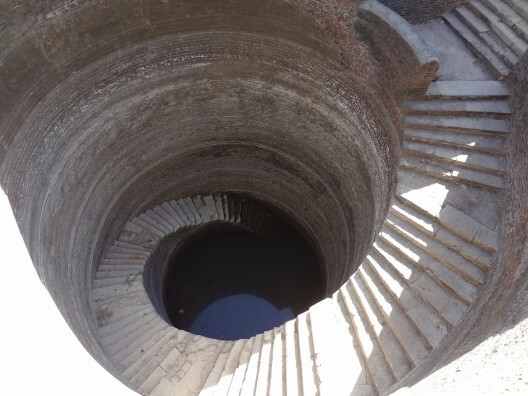 Helical Stepped Well is a step well built with bricks and stone paved steps. It descends in the form of a snake coil. 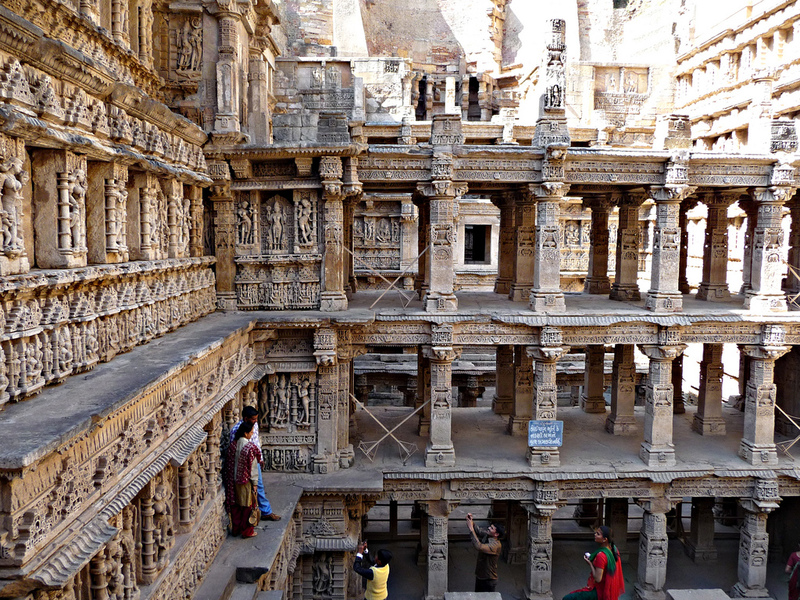 Sat Manzil was a seven-storey watchtower that was built in 15th century. Now, only four storeys remains as the structure fell into ruins. 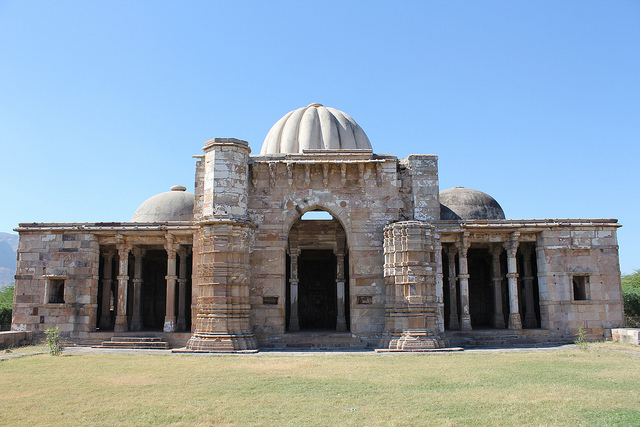 Mandvi is a square structure in Champaner’s fort and was used as a separate house for the king’s guests. 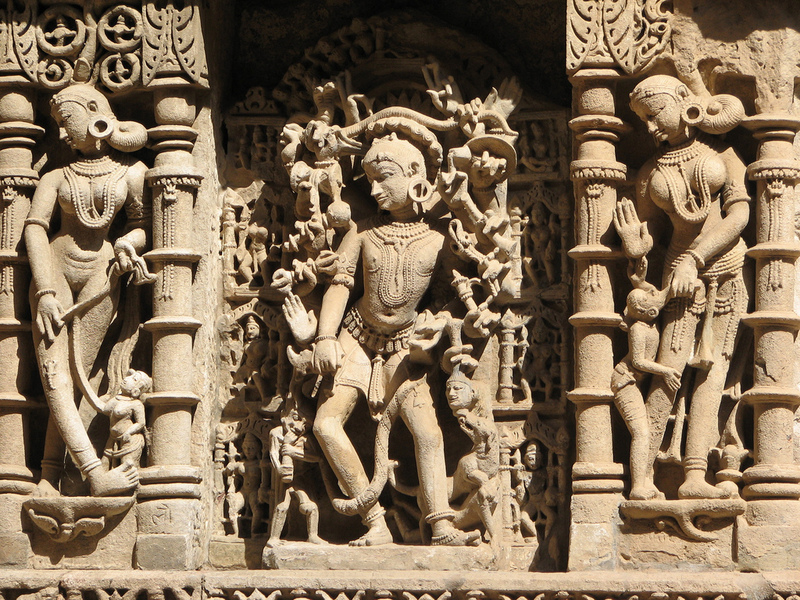 Thus, the Champaner-Pavagadh Archaeological Park has a lot to offer to those visitors who are looking for some great architectural masterpieces in India.